According to reports, Manchester United are free to pursue the signature of Real Madrid forward, Gareth Bale only if the Spanish club complete the signing of Tottenham striker, Harry Kane. The 25 year old is set to be the subject of interest from both clubs in the summer but is expected to prefer a move to Spain as a form of respect to his club as he won’t want to play for a direct rival. While United have expressed interest in the England international, it is expected that Real sign him which will pave way for us to sign Bale. The Wales international could be let go at the end of the season as the club are reportedly tired of his injury worries, according to Don Balon. 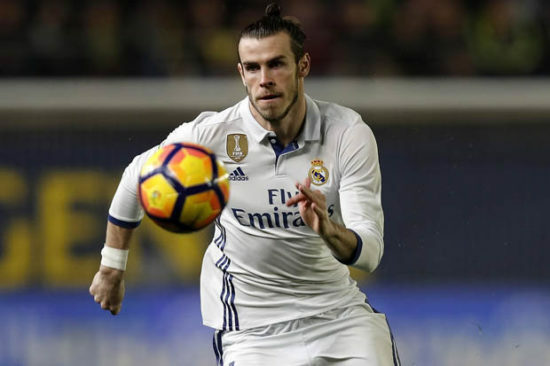 Bale, 28 starred in the 2-2 draw away at the Balaidos against Celta Vigo where he netted twice in the space of two first half minutes but that performance is not believed to be enough to keep him at the 12-time European champions. Real want Kane to herald a new era of dominance and the striker’s recent comments will do nothing to douse the speculation linking him to the Spanish capital. Bale has long been a target of José Mourinho and Manchester United as the club feel he is the long term replacement for legendary left figure, Ryan Giggs. Bale’s stock has fallen in recent years but is still a quality player if he can overcome the injury worries that have hampered him lately, a risk we are willing to take. Bale is primarily a left attacking midfielder that can also play on the right. He is known worldwide for his creativity, finishing and setpiece prowess. At £85 million, he will offer fair value for money in this current transfer market and it will be a good deal for Madrid, given that they shelled out £86 illionm to sign him from Spurs five years ago. He has won three Champions League titles, La Liga and a host of other trophies in his time in Spain. Retrounted must be mad if he feels that is a good deal. I would not take Bale if Madrid paid to get rid of him. There are better prospects out there, younger and less expensive and less likely to break down in the dressing rooms.